Dr Matthews is the senior partner. He grew up in South Wales and trained at St Mary's Hospital, London. He trained as a GP in Trowbridge and has worked at Spa Medical Centre since 1991. Dr Matthews is a GP Partner, the Lead GP in delivering an excellent Vasectomy service. He is also involved in practice Based Commissioning. Dr Matthews specialist areas include joint injections, hypertension and orthopaedics. Married with 2 children, he enjoys sailing, skiing and mountain biking. Works all day Tuesday, Wednesday and Thursday and alternate Fridays. Dr Rigby grew up in Wiltshire then moved to London to train at St Bartholomew's Medical college. She joined Spa Medical Centre in 2004 and is a GP Partner and Surgical GP, providing Carpal Tunnel operations at the surgery, as well as routine and acute same day appointments. Dr Rigby has a specialist interest in womens health, family planning and weight management. She is married with 2 children and enjoys running a small holding and keeping fit. Works all day Monday and Tuesday and Wednesday mornings. 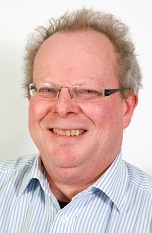 Dr Thomas has worked at Spa Medical Centre since 1997 and is a GP Partner, responsible for the provision of general medical services, practice finance and patient complaints. He is married with 3 children, enjoys music, particularly playing the organ and gardening. He was expelled from Wales as it's worst ever rugby player. Works Mondays, Tuesdays, Thursdays and alternate Fridays. Dr Armstrong was born in Zimbabwe, but spent most of her childhood in Leicestershire. She joined Spa Medical Centre in September 2006 and is a GP Partner and Surgical GP, providing Minor Skin Cancer services alongside routine and acute same day appointments. Dr Armstrong enjoys running, sailing, gardening and spending time with her family. Works all day Monday and Tuesdays, plus Wednesday mornings. 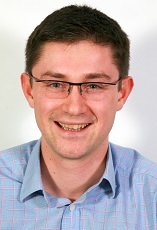 Dr Curtis joined Spa Medical Centre in 2008 as a locum GP before becoming a permanent member of the team. He became a GP Partner in April 2013 and is responsible for the delivery of core general medical services. He has a keen interest in emergency medicine and is a GP Educator, working for the Severn Deanery. Dr Curtis is the Clinical Educational lead for the practice. He enjoys cycling, running, sailing and surfing. Works Monday mornings, Tuesdays and Fridays. 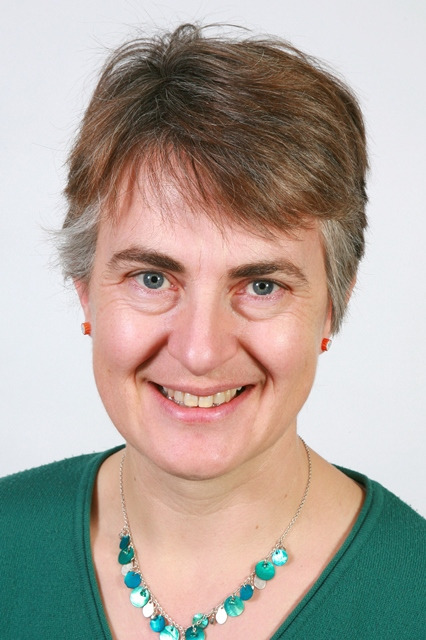 Dr Teare initially trained in surgery in London, Reading and Exeter becoming a member of the Royal College of Surgeons of England before coming to Wiltshire to train as a GP. As well as enjoying all of General Practice he performs minor skin surgery at Spa and also has a masters degree in Sports and Exercise Medicine and was the club doctor for Swindon Town Football Club until 2018. He now works in the Sports Injuries clinic at the RUH and with Bath Rugby, as well as teaching at the University of Bath. He is married with three young daughters and when they give permission he competes locally in road running and less successfully on the golf course. Works all day Mondays, Wednesdays and Thursdays and Friday mornings. After qualifying, Dr Williamson worked in hospital roles in Yorkshire before moving to Buckinghamshire where she completed her GP training. 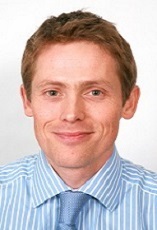 Dr Williamson worked at Spa Medical Centre as a locum before joining the team permanently as an Associate GP in 2012. As well as working at Spa, she also works at Warminster Community Hospital and for the local Out of Hours provider. Dr Williamson is married with 2 children and has a keen interest in boats and canals. They also keep chickens and pigs and enjoy growing their own food. Dr Williamson is a recent convert to running and finds it a great stress reliever, along with her other hobbies of morris dancing and knitting. Works all day Wednesday and Friday, with a shorter day on a Thursday. 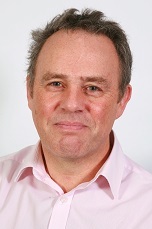 Dr Pearson joined Spa Medical Centre in 2015. He trained at the University of Nottingham and has worked in the NHS as well as abroad in New Zealand as a doctor. His interests are joint injections and general medicine as well as paediatrics. Dr Pearson enjoys sports such as squash, football and tennis. Works Wednesdays, Thursdays and Fridays. Dr Millard likes netball and running. Works alternate Tuesdays and Wednesday and all day Thursday and Fridays. As a practice, we try to use locum doctors only where absolutely necessary – for instance to allow our GP’s to be involved with major development work outside of the practice for the wider community. We also try to use the same locums wherever possible to assist with continuity of care. They are a much needed and welcome part of our team. 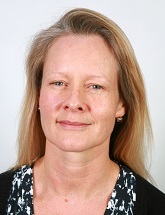 We are delighted to welcome Dr Helen Davidson to the Practice. Dr Davidson trained at St George's Hospital, University of London, before returning to the work in the South West. 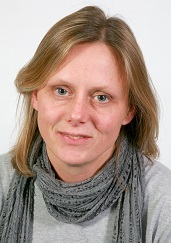 She has joined Spa Medical Centre as a locum GP though we very much hope to work with her on a regular basis. Dr Davidson has an interest in family planning and sexual health. We are proud that Spa Medical Centre is an approved training practice for Registrars moving towards qualification as General Practitioners. Dr Adrian Curtis is a GP Trainer and GP Training Programme Director, working for the Regional Deanery and he mentors our Registrars whilst they are here at the practice. Registrars are qualified doctors who wish to specialise in General practice. They generally spend a year with us at the surgery, holding their own clinics, under the guidance of Dr Curtis. Dr Gately studied at Liverpool and the Wirrall before completing her Core Medical Training and MRCP in London. She has a particular interest in oncology and haematology. Outside work she enjoys cycling, running and is aiming to do a triathlon. We are very fortunate to have a highly skilled and experienced nursing team headed up by Sister Catherine Campbell, our Nurse Manager. The nurses are trained to see patients with a wide range of acute and chronic problems offering advice and treatment where appropriate. Our practice nurses have expertise in managing chronic diseases, such as heart disease, asthma, diabetes and COPD. The team also offer contraceptive advice, travel advice and vaccinations, as well as childhood immunisations for the under 5’s. Catherine heads up the nursing team as Nurse Manager. Catherine has a huge wealth of experience in both minor illness and Chronic Disease management; she is the lead nurse for Asthma and Chronic Obstructive Pulmonary Disease within the practice. Her experience means you may see her when she acts as Duty Nurse, providing acute medical care but also if you are being treated for a chronic disease. Catherine is a nurse Prescriber. Caroline is a very experienced practice nurse and is the lead nurse for Chronic Disease management, especially Diabetes and Chronic Heart Disease. Caroline is also experienced in all areas of treatment room work, with a special interest in Family Planning and Sexual Health. Caroline is a nurse Prescriber. Trisha is an experienced practice nurse who deals with all elements of treatment room work and helps manage patients with Diabetes. Trisha runs our weekly childhood immunisation clinic, as well as our travel vaccination service. 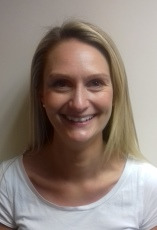 Suzie is an experienced practice nurse who assists with a wide variety of treatment room work. Ruth is our senior Duty nurse, trained in minor illness, injuries and medical emergencies. She has a wealth of experience, enabling her to see patients who present with urgent problems and works alongside the Duty doctor. She also is theatre trained and regularly assists the GP surgeons. Teresa is also trained in minor illness, injuries and medical emergencies and with a background in emergency care, she has a wealth of experience to bring to the team. Julie is a member of our Duty Team. Julie is a paramedic, so very used to dealing with acute healthcare problems. She also acts as Clinical Care Co-ordinator for the Practice, helping patients to access services from health care, social care and voluntary providers, with the aim of making them more comfortable at home and reducing the risk of them being admitted to hospital. Our two Healthcare Assistants (HCA’s) are specifically trained in phlebotomy (taking blood samples), as well as blood pressure checks, ECGs, Stop Smoking Clinics, Ear Care and simple dressings. They also run our NHS Healthcheck clinics. Christine is our trained Phlebotomist and will help you if you need a blood sample taken. Locum nurses are sometimes employed at Spa and are a welcome addition to the team, allowing us to carry on offering appointments when our practice nurses are away. We try to use the same nurses for continuity of care. Gaynor is responsible for the general day-to-day running of the practice. Her role is extremely broad, covering the overall general management of the practice. This includes practice development, human resource management, communication and training, health & safety and financial control to name just a few areas of responsibility! Her wealth of knowledge and experience enables her to support our clinicians in delivering first class healthcare. Gaynor is supported by a strong and efficient administrative team. Tracey assists Gaynor in the operational management of the practice. She is also responsible for Information Governance, holding the position of Caldicott Guardian alongside the Senior Partner. Additionally, Tracey is responsible for IT and complaints and also manages the Administration and Secretarial Teams. Our medical secretaries process the correspondence between the GPs and consultants, hospitals and other agencies. They may undertake the arrangement of urgent appointments and also organise all our electronic referrals, which offers our patients a more efficient, flexible service at a hospital of their choice. There is a strong administrative team supporting the doctors at Spa. Each person has specific areas of responsibility, covering NHS and non NHS work, as well as assisting with our document processing system, where all correspondence from Consultants and outside agencies is scanned into patient medical records and made available to our GP’s electronically. Alison is responsible for the smooth running of the reception team, from recruitment and training, through to day to day supervision and support. Alison is passionate about providing excellent patient care and works hard with the team to maintain a great experience for everyone who contacts the team. Our receptionists go through extensive training when they join the practice. Not only can they assist you in making urgent and routine appointments to see a GP or nurse, they also answer numerous and varied questions and are happy to help and assist at all times. They are responsible for registering patients within the practice and for updating patient details, liaising with the GP’s over queries, organising home visits and liaising with our community nurses. Please remember that if they ask you questions they are doing this under instruction from our GPs and they are bound by the same rules of confidentiality as our doctors and nurses. Their main objective is to ensure that our patients feel supported, well cared for and listened to. We have our own dedicated team of cleaners, Victoria and Kirsty, who work hard every night to ensure that the Practice is spick and span and that our surgical theatres are cleaned to the highest standard. The local Midwives will co-ordinate your care during your pregnancy, right from the moment you discover you are expecting. Please contact Trowbridge Birth Centre within one month of discovering you are pregnant. They can be contacted on 01225 711314, Monday to Thursday between 09:00 and 12:00. If you need to contact your Midwife, please telephone 01225 765840. You do not need to see a GP to confirm you are pregnant unless you have concerns you wish to discuss. The Health Visitors are qualified nurses, with special training and experience in child health, health promotion and education. They offer practical support and health advice in many situations, including child development, nutrition, sleep issues and behaviour management in the under 5’s. They can be contacted directly at Melksham Hospital on 01225 618819. The community nursing team provide specialised nursing care to patients who need to be cared for in their own homes. This includes care such as wound management, taking bloods, continence management and palliative care. The GP’s work closely with the community team to ensure that our housebound patients are well cared for. We are very fortunate to have a Care Co-ordinator at the practice who works with patients who have complex health needs, or who need support to continue living at home independently. Our Care Co-ordinator is Julie Phelps. She has become a familiar point of contact for many families, helping them access services from health care, social care and voluntary providers, with the aim of making them more comfortable at home and reducing the risk of them being admitted to hospital. Your GP will involve Julie in your care if they believe you could benefit from her assistance. To support our doctors with the care of those patients who are over 75 and particularly those at risk of admission to hospital, we have collaborated with Giffords Surgery to create a team of TCOP Nurses who are able to visit patients at home on behalf of the GP. The nurses are able to assess and agree treatment plans with the GP’s, enabling the patient to be cared for at home where possible.